As parents, we have A LOT to remember. Between sleep schedules, feeding schedules, school activities, doctor appointments, grocery lists, homework, sports, and everything else we do with our kids, there are hundreds of things we have to remember to do every day. 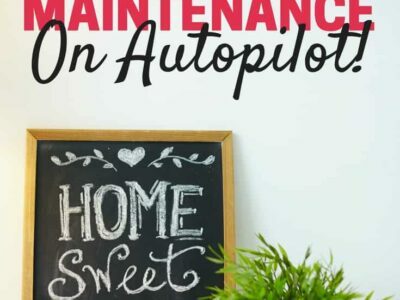 Wouldn’t it be nice if we could put home maintenance on autopilot? A lot of what we do is on autopilot, thankfully. We just don’t realize it! But there are still a lot of things we need to think about today to keep our households running. By consciously putting more of our mundane tasks on autopilot, we can free up our brains to be more present for our families and ourselves. Building Routines – Setting things up so you do the same tasks over and over again so they become second nature. Automating – Creating reminders or having things done for you automatically. Before you start putting more things on autopilot, take a minute to make a list of all of the things you have to remember. List absolutely everything. Then, cross off the things that are non-essentials. For example, I’d love to make homemade yogurt every two weeks. It would be awesome, but it’s not an essential task. We will survive without yogurt, so I’m crossing it off my list. While you’re building your routines and automating, work on your essential tasks first. Once you have those down, then you can add in more “nice to have” tasks. What are frequent tasks? It will be different for everyone, but here are some examples: laundry, cooking, carpooling, grocery shopping, making bottles, taking medicine, packing lunches, making snacks, etc. 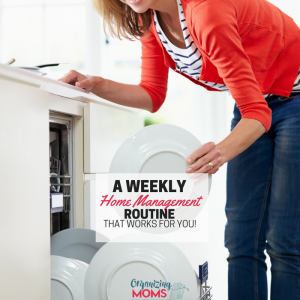 Create a Home Management Routine. This won’t happen overnight, but if you spend time on it and make sure it’s customized for you, it can be a game-changer. 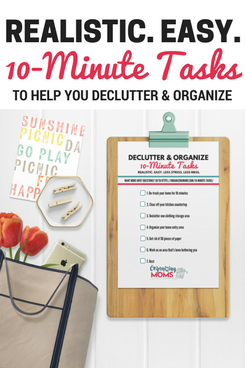 Click here to see how I created a home management routine and pick up a free printable that will help you create your own routine. Build Habits. This often goes along with your routine, but building habits that become automatic can clear up a lot of decision-making space in your brain. Right now, I’m working on building a new laundry habit. 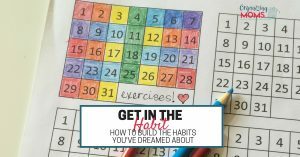 Click here to read more about creating new habits. Learn about Home Management from the pros. 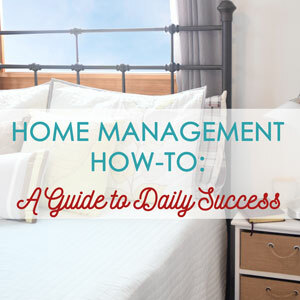 Although I read about home management tips all the time, the thing that got me to focus on building a good routine was the Home Management How-To course. Taking the course helped me see home management in a whole new light, and it made things much easier for me. Click here to learn more about the course. I love to use automated deliveries to help me remember to do certain things around the house that don’t need to be tended to every week. One of my favorite automations is having air filters for our furnace delivered every few months. I have allergies, so having a good air filter in our house really improves my quality of life. But I can go for YEARS without remembering to replace air filters. Not good. Air filters. I use a service called Filter Easy that delivers a new air filter to our home every few months. I’m able to get filters from Filter Easy for less than I’m able to buy them at the store, and they have many more options than we have available in my town. When the air filter shows up on our doorstep, I know it’s time to change the filter. 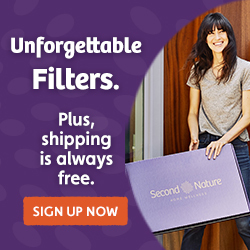 Organizing Moms readers can click here to try out the Filter Easy service and get an air filter for free – just pay shipping. Household supplies. I use Amazon’s Subscribe and Save to deliver things like toilet paper, deodorant, and my favorite type of pasta that isn’t sold in the stores in my town. They don’t have everything I need, but I’m able to eliminate emergency trips to the store by using the Subscribe & Save service. When my kids were younger, I bought almost all of our diapers and wipes through Amazon. Amazon is offering a free trial of Amazon Family, which includes a 20 percent discount on diapers! Click here to learn more about the free Amazon Family trial. Research delivery options in your community. Many businesses will deliver to your home, sometimes for free! Call around and ask to see what’s available. Some ideas for local delivery services – dry cleaning, groceries, drinking water, and milk. Make your appointments in the office. This is really more of a habit, but it doesn’t happen frequently, so I’m including it here. Whenever you’re at an appointment that you will need to repeat, schedule your next appointment while you’re in the office. This works for dentist appointments, doctor appointments, hairdresser appointments, etc. Get your next appointment on the books, and you could save yourself a call later. You can always reschedule if needed, but if you have your next appointment on the calendar, you won’t run into the problem of forgetting to make your next appointment. 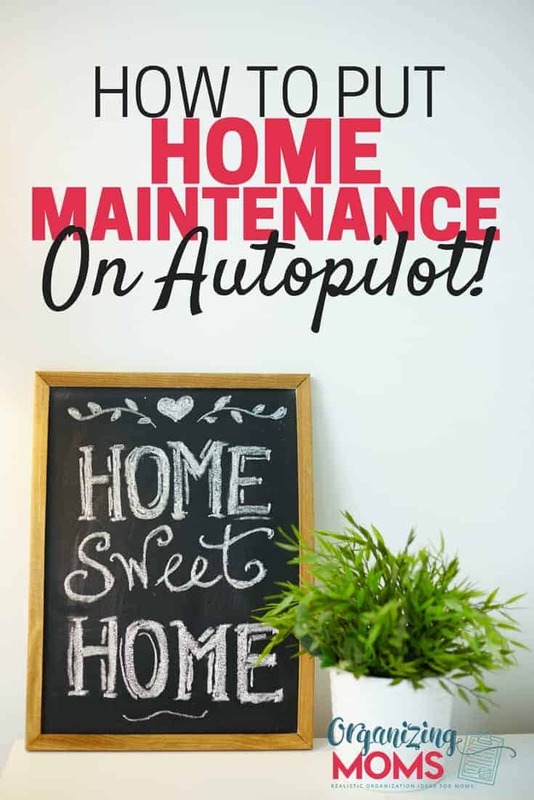 Putting household management tasks on autopilot can take a lot of things off your plate, and make you more relaxed about remembering to do things. It may take some time to set up good systems for your family, but one everything is set up, you’ll be able to enjoy the benefits!